GPU inventor NVIDIA Corporation (NASDAQ: NVDA) reached an agreement to acquire Israel-based Mellanox Technologies, Ltd. (NASDAQ: MLNX), a supplier of smart interconnect solutions and services for servers and storage for $125 per share. Several more Street analysts have offered their take. SunTrust Robinson Humphrey's William Stein maintains a Buy rating on Nvidia with a price target lifted from $195 to $210. Morgan Stanley's Joseph Moore maintains at Equal-weight, unchanged $148 price target. Bank of America's Vivek Arya maintains at Buy, unchanged $193 price target. Nvidia's stock closed Tuesday at $162.52 per share. 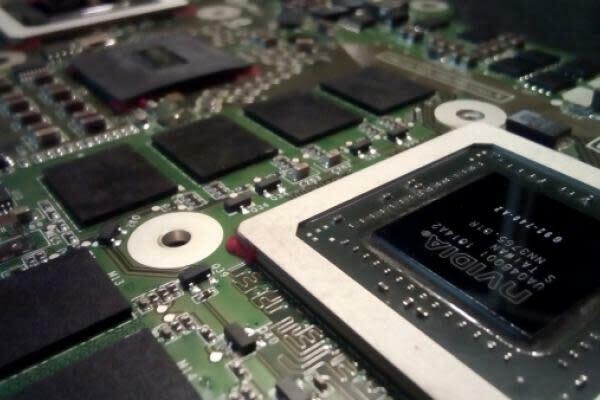 If Nvidia didn't acquire Mellanox, Stein said a rival like Intel Corporation (NASDAQ: INTC) could have done so which would limit Nvidia's ability to continue collaborating with Mellanox. Nvidia's move to buy Mellanox looks defensive in nature but also makes strategic sense for three reasons. Nvidia and Mellanox play a prominent role in emerging datacenter technology so the combination of the two will create a stronger company that is better able to satisfy demand, the analyst wrote. Nvidia already resells Mellanox's products within its GDX-2 systems. Both companies worked together to create GPU Direct, a tool that lets engineers access memory across disparate GPUs more quickly. Nvidia's acquisition will expand its exposure to the datacenter market and could prove to be "significantly" accretive, Moore said in a research report. Nvidia's true potential lies on its ability to combine high-speed networking products like Infiniband to drive more compute. Nvidia needs to first show how it best maximizes its acquired assets although it is clear there are some advantages for the graphics portfolio by looking at the direction the Infiniband standard will go. In the meantime, the analyst will be "interested to see" what Nvidia will do to fully monetize the combined entity. Mellanox will likely be immediately accretive to Nvidia's pro forma EPS in calendar 2020 by 8 percent, Arya said in a research report. The company expects to see zero cost synergies implies its near-term focus will be on "attacking future growth opportunities" instead of "harvesting current" opportunities. If Mellanox is able to generate 5-10 percent in cost synergies, Arya said the deal could ultimately be accretive to Nvidia's EPS by 10-15 percent. Nvidia's acquisition will speed up its ability to address datacenter demand through faster innovation and processing of data along with integrating artificial intelligence capabilities in large databases, Feinseth said in his daily newsletter. The company will be positioned to offer customers "datacenters of the future," which will consist of a giant computer with tens of thousands of computer nodes demanding interconnection to drive parallel processing. "I believe significant upside exists from current levels and continue to recommend purchase," wrote the analyst. Nvidia and Mellanox's existing relationship includes the two working together to power the "fastest supercomputers" and Nvidia's DGX product line, Mosesmann said in a research report. If Mellanox had agreed to sell itself to another datacenter player, it would have "hindered" Nvidia's long-term growth profile. As such, Nvidia's acquisition demonstrates the increasing strategic need of high-speed interconnects and networking.